Add bling to your look with the Peacock Feather Diamond Necklace that beautifully elaborates a peacock feather with gold and diamond. 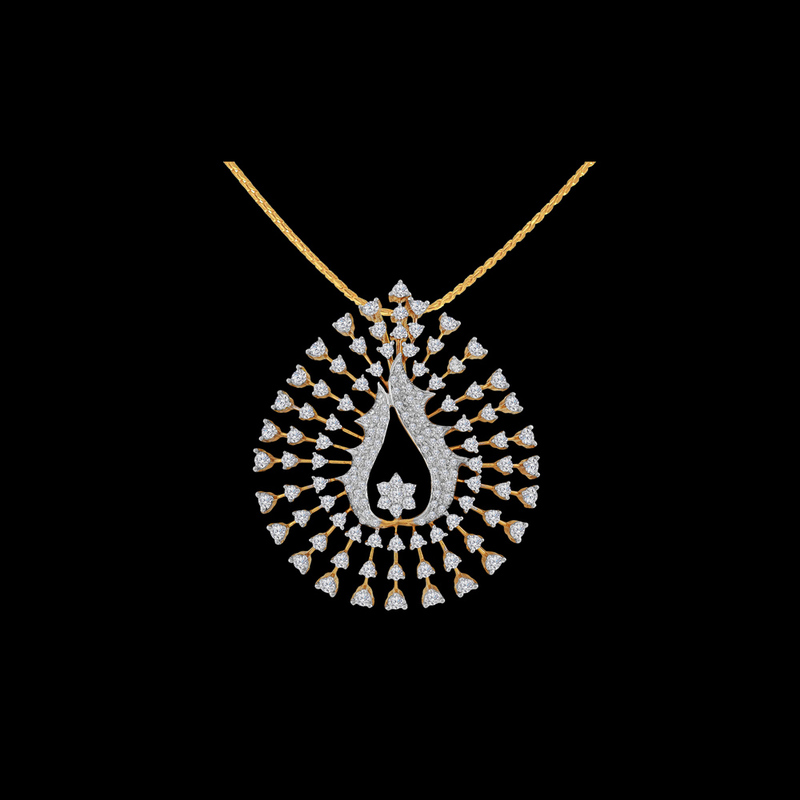 Made with 18KT gold and 3.65CT of diamond, the necklace in pear brilliant shape accentuates the jewellery in a stylish and sleek manner. The evergreen design is a perfect choice for trendy outfits as well as traditional wear.